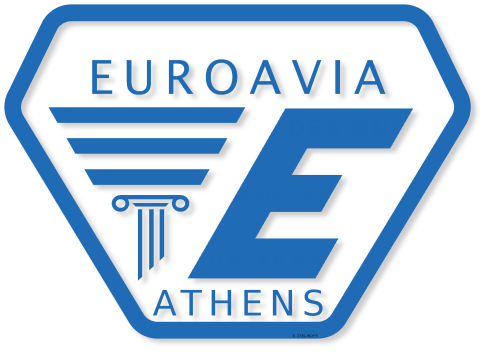 EUROAVIA Athens is an Affiliated Society of EUROAVIA, the European Association of aerospace students. As a result, one of the basic aspects of our activities is to show the international character of the team and to connect with the other Affiliated Societies around the world. We manage to do so by organizing and participating in International Events hosted by EUROAVIA International or the Affiliated Societies. For this academic year, 2018-2019, we decided to organize our own International Event. It will be a Symposium on “Satellites” and it will take place in Athens, on the third week of April 2019. It will be organized exclusively by the members of EUROAVIA Athens, who will take care of the hospitality of the 25 participants for the whole week. It is notable that some of the lectures will by open for the public to participate in order to furtherly promote the field of aeronautics and aerospace engineering among the academic community of Athens. Lectures: the speakers will be professionals (scientists & engineers) who work for some of the biggest companies in the field of aerospace engineering and renowned professors. Cultural Activities: apart from the technical knowledge that will be acquired by the participants, they will be able to experience the Greek hospitality and culture. In fact, they will taste traditional Greek dishes, walk around the picturesque alleys of Plaka and participate in plenty of other cultural activities. Final Dinner: formal dinner that takes place in the last night of the Symposium before the departure of the participants. We are working on the Symposium for almost a year in order to offer to the participants an unforgettable experience, hoping that they will learn useful information, gain knowledge, communicate with students from all over Europe and generally enjoy their trip to Greece!